The referral process helps you learn about the Early Intervention Program. You must decide if early intervention makes sense for you and your child. You must give your permission to have your child evaluated for the program and to receive services. Parents have rights under the Early Intervention Program that you should know.Your EIO is responsible for making sure you know about your rights. All information in your child's record must be kept confidential by the Early Intervention Official and early intervention evaluators, service providers, and service coordinators. The following services can be authorized for children and their families, some in individual and/or group setting. Please review the options and discuss them with your Service Coordinator to determine their appropriateness for your child and family. The team at Hand in Hand will work with you and your service coordinator to ensure your child's services work best for you. In our EI classrooms each child works "one on one" with an instructor to teach the skills tailored to his or her unique needs. Sessions include 1:1 instruction, as well as group activities to encourage peer interactions. As children gain new skills, their instructional programs are modified to work toward attaining their goals. Our Center follows a least restrictive environment model; we offer learning opportunities in a variety of settings such as in the classroom as well as in community locations, such as the playground, to provide children with strategies and support in community settings. 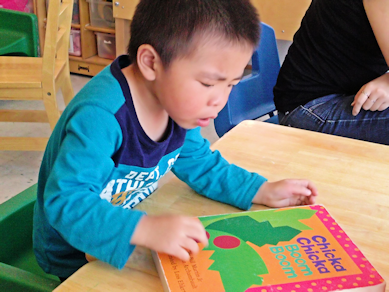 Each child's instructional program is individualized to meet the abilities and deficits of the child and to address the concerns of their family. DTT is an instructional method used to break skills down into small sub-skills that are taught intensely with frequent delivery of reinforcement and repetition of teaching trials. 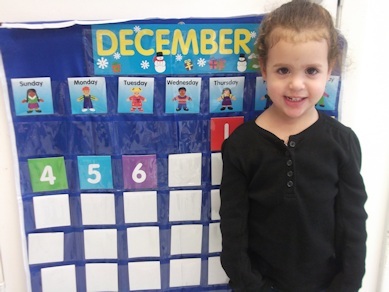 The children in the DTT classroom learn foundational skills, such as eye contact, responding to name, attending to tasks, following simple instructions, and basic imitation skills. The students in the DTT classroom require and benefit from intensive, structured, one-to-one instruction. Upon mastering foundational learning skills, children are able to transition into the NET classroom. 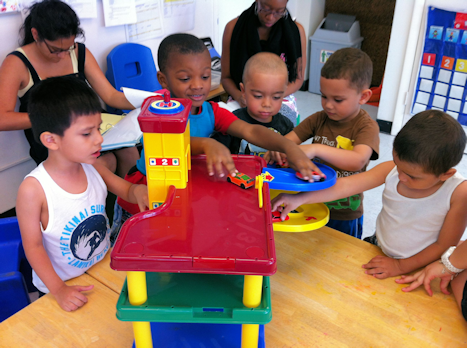 This instructional method focuses on teaching students through different forms of play and group instruction (to assist children who are ready to learn in an environment closer to a typical preschool setting still with considerable support.) 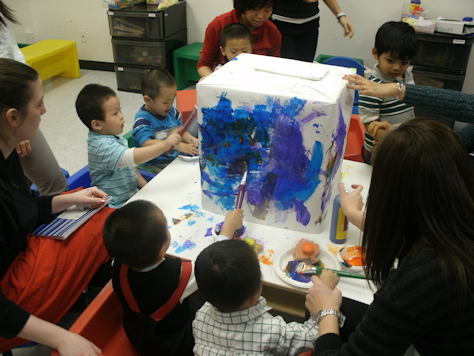 Varying play skills, social skills, independence, and pre-school readiness is targeted in this classroom. Social Skill Group is a 2 hour therapy program run by one of our speech therapists that focuses on play and early social skills. 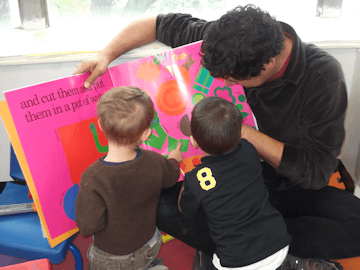 The speech therapist targets basic pragmatic language skills such as turn-taking, making and responding to greetings, joint attention and peer interactions. The therapist also works on enhancing expressive language, receptive language, and feeding skills during the session. Social goals are worked on through cooperative games, sensory activities, pretend play activities and interactive stories. Social Skills Group provides 1:1 support for achieving goals. Our Pediatric Occupational Therapists target the daily living challenges of children diagnosed with a variety of developmental disabilities and view them, their environment, and their interaction with the world in a holistic manner. Our Occupational Therapists have a strong understanding of a wide variety of developmental conditions and how they affect the child's everyday skills, including performing activities of daily living, gross motor coordination, fine motor skills, visual motor integration, communication, socialization and sensory integration of the bodily systems which help organize the child. Since children learn through play, therapeutic activities are chosen to help them meet their previously determined IFSP goals and ultimately improve their quality of life. Our Occupational Therapists assist children in adapting to their environment by developing strategies and techniques to help them successfully perform different tasks. 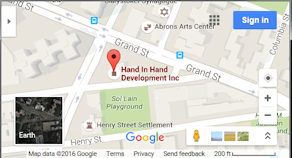 At Hand in Hand, we use the principals of Applied Behavior Analysis and also provide Sensory Integration Therapy to address various deficits that our children and their families face on a daily basis. Occupational Therapy services may be provided to eligible children who have been approved for individual center-based treatment. Occupational Therapy is provided in 30 minute sessions as authorized during each week. Speech and language goals are taken from children's Individualized Family Service Plans (IFSP) and are adapted for center implementation. While our clinicians primarily target functional language development, they also target socialization through push-in sessions in our Natural Environment Teaching (NET) Classroom, as appropriate. Our licensed speech and language pathologists provide individual sessions (30 minutes) with frequency determined by your child's IFSP. Parental/Caregiver involvement is essential for a child's communication success, and clinicians invite parents/caregivers to observe therapy sessions and participate in the learning process whenever possible. For parents who cannot attend sessions on an ongoing basis, our clinicians recommend monthly team meetings for parents to meet with all members of their child's team to review goals and progress. Treatment services are available for the following areas of concern: language development, suspected Childhood Apraxia of Speech (sCAS), feeding disorders, pragmatic language disorders and augmentative communication (i.e. modified sign and/or Picture Exchange Communication System (PECS). Unique in the field of speech-language pathology, our clinicians follow the principles of Applied Behavior Analysis (ABA) during speech sessions, as part of our integrated team of providers to ensure the most consistent and appropriate intervention. Nutrition is the most important factor in a child's diet. If the child is not receiving adequate nutrition or is showing problems such as choking or gagging on food, FEEDING THERAPY is warranted. Feeding therapy needs to be done in conjunction with family and at-home therapists in order to be effective. Our Speech-Language Pathologists will work directly with the child as well as train the family to work with the child at home. It is very important that the entire family access available resources that encourage emotional support as well as skill acquisition. The following services may be recommended at the time of your child's IFSP or recommendations for amendments can be submitted if your needs change. Social Work / Counseling Services are tailored to the unique needs of the family. Some families want assistance with services such as locating housing, educational, medical, and/or other community or state resources. This service may also be used to share feelings and experiences with a professional. A licensed professional can provide counseling on issues to assist you to support your child including identifying and understanding your child's needs, enhancing your ability to cope with a child with special needs. Team Meetings/Family Training are a specific type of Family Support Service that can be authorized on a monthly basis in order to allow all the members of your child's team to meet with you and discuss what has been achieved, and strategize together on establishing goals. This service is strongly recommended at the Center as a way to foster generalization and communication across environments. 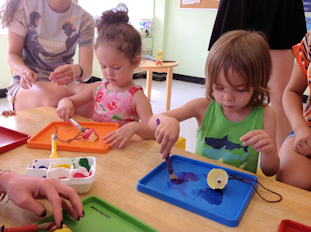 This service also provides hands on training to parents at the Center with specific resources and techniques to address their child's unique developmental needs. Sessions are offered once a month for 30 minutes. Family/Caregiver Support Group provides information and strategies to help you to work and play with your child. This group is co-led by a licensed social worker and one of our head teachers so that the group remains ABA skills-based, but also includes a counseling component. Monthly topics can include feeding, communication, and toilet training, as well as topics related to children with special needs and available Early Intervention or community based resources. This group also provides opportunities to network with other families of children with similar needs. Sessions are offered once a month for 60 minutes.